The Sweet potato is believed to have originated in South or Central America, but the true origin has not been clearly identified as early evidence of it can be found in multiple regions of the world. Evidence of its cultivation in Peru dates back 4000 years before the Spanish arrival in the 1490’s, and taxonomic studies indicate that historically the densest collection of genetic diversity of the Sweet potato crop is found in Central America. In the United States, the terms Sweet potato and yam are often used interchangeably, though, in reality, they are botanically not the same thing. The first Sweet potatoes produced commercially in the United States were firm and white-fleshed types. When the orange-fleshed variety moved into the commercial market, producers and shippers needed a means to differentiate them from the white-fleshed variety. 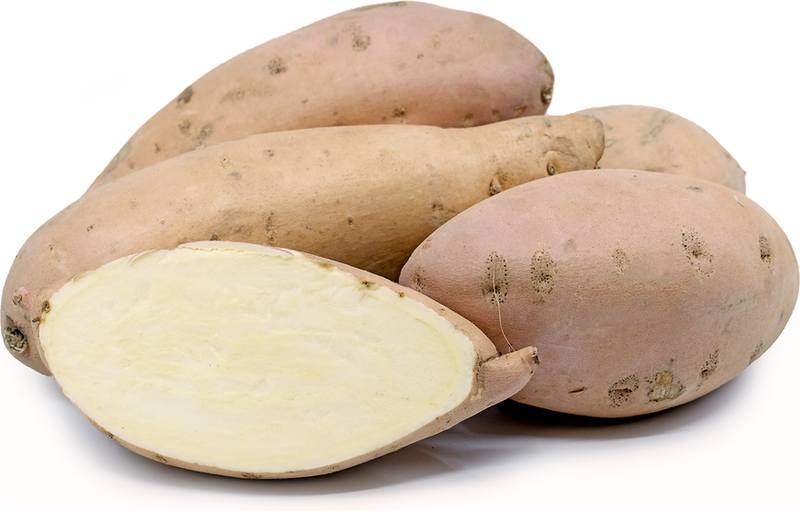 The name yam was picked as a result of the Sweet potato’s similar appearance to that of the African root vegetable Nyami, translated as yam in English. Though Sweet potatoes are commonly sold as yams in grocery stores today, the U.S Department of Agriculture does require that these yams also be labeled as Sweet potatoes. Additionally, as a result, many processed canned and frozen orange Sweet potato products in the United States are sold under the name yam as well. Why is Sweet Potato So Good For You? Sweet potatoes are high in potassium and vitamin A and offer some antioxidants, vitamin E, and vitamin C.
Sweet potatoes are medium to large in size and are roughly ovate and cylindrical in shape with tapered ends. Regardless of color, Sweet potatoes maintain a similar shape in all varieties. Sweet potatoes can vary in skin color ranging from golden-brown, white, copper-red, to purple and generally have a smooth texture. The flesh is dense and can be white, orange, yellow or orange-red. Sweet potatoes have a sugary flavor and can be firm or soft, with white-fleshed varieties having the firmest, driest flesh and orange-fleshed varieties having a softer, moister texture. Sweet potatoes are best suited for cooked applications such as baking, steaming, and roasting. Used in both sweet and savory preparations, Sweet potatoes can be sliced thin and sautéed or layered into lasagna, ratatouille, or casseroles. Cut into wedges or sticks it can also be baked, grilled, or deep fried. The moist orange fleshed Sweet potatoes can be used to make a naturally sweet puree for pies, bread, sauces, and cakes. 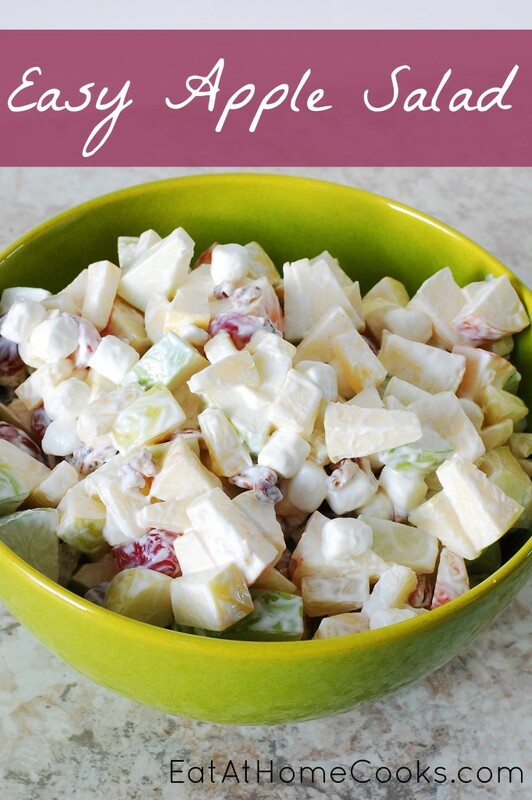 Complimentary flavors include toasted walnuts, nutmeg, cinnamon, allspice, cumin, curry, cilantro, parsley, pears, apples, eggplant, bell pepper, maple syrup, brown sugar, sour cream, butter, and feta cheese. Sweet potatoes should be stored loose in a cool, dry place away from direct sunlight and should not be refrigerated. 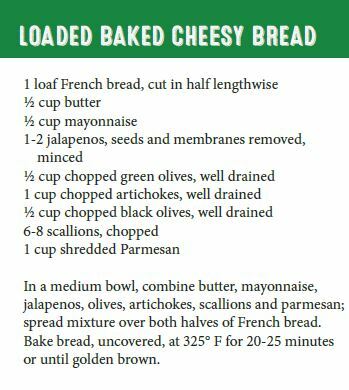 This is an excellent, mouth-watering recipe from Chef Alli, and published by “From The Land of Kansas.” The cheesy mixture in this recipe is filled generously with just the right amounts of spice, such as Jalapeños and scallions (feel free to use garlic, too! ), and the right amount of fat and dairy. Add in some crumbled bacon on top for some extra flavor! Be sure to get your artisan French bread from Long View Farm. Enjoy! Jalapeños originated in Mexico and have been in Mexican markets since the sixteenth century. Prior to the twentieth century the Red Jalapeño was most commonly sold at the market in its dried and smoked form as chile ahumados, known today as chipotle peppers. Named after the city of Jalapa in the state of Veracruz, Mexico, there are four main varaties produced in Mexico; Espinalteco, Morita, Tipico and Peludo. The Mexican states of Veracruz, Chihuahua and Oaxaca are major producers and cultivate approximately 40,000 acres a year. On average 20 percent of this crop is used to produce chipotle peppers, i.e. smoked Red Jalapeños. 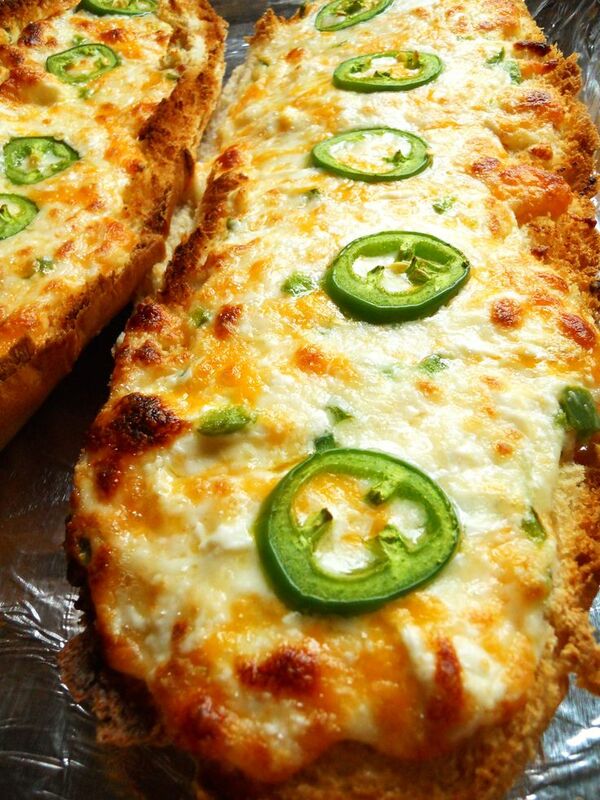 Why is Jalapeño So Good For You? Jalapeño chile peppers are very high in vitamin C, and are an excellent source for vitamins A, B6, and E. The peppers are also a good source of vitamin K, niacin, dietary fiber and folates. It is a source of the electrolyte potassium and the minerals phosphorus, copper, magnesium, manganese, calcium, iron and zinc. The spicy fruits contain flavonoids in the form of phytonutrients beta and alpha carotene, lutein-zeaxanthin and cryptoxanthin, providing beneficial antioxidant benefits. Red Jalapeño peppers have a conical shape and come to a broad end at their tip. Their shiny red skin is smooth and usually marked with characteristic striations known as “corking”. A characteristic that is reflective of the peppers maturity and is desired in the Mexican market but not so much in the United States. Their crisp flesh is slightly sweeter than the immature green Jalapeño, and has a notably hotter spice. Depending upon variety its Scoville range is from 2,000 to 10,000 units. 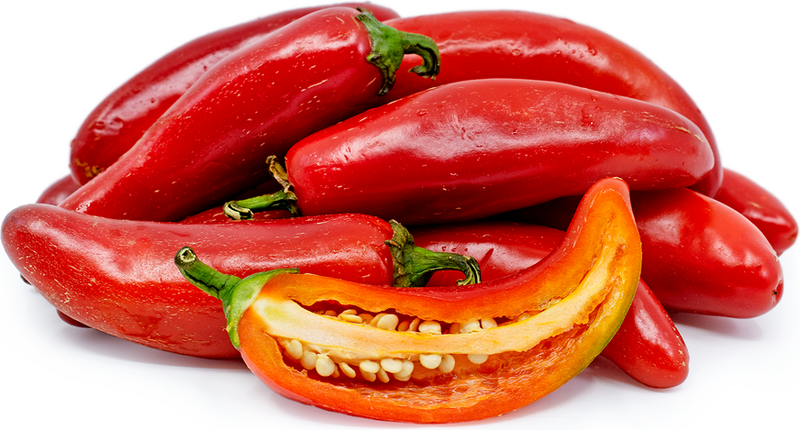 Red Jalapeño peppers can be used interchangeably in recipes that call for green Jalapeños. Add fresh or roasted Jalapeños to salsas, sauces, guacamole, stews, soups, tamales, casseroles, dips or anything else that can take a little heat. Cornbread, pasta dough, cheese soufflés and breads will benefit from its sweet heat. Jalapeño peppers can be sliced and pickled (en escabeche) or cooked down to make pepper jelly. When dried and smoked the Red Jalapeño is the most common pepper used to make chipotle peppers. To store fresh Red Jalapeños keep refrigerated and away from moisture, use within one to two weeks. While in New York City for the Fancy Food Show recently, we enjoyed a late meal at a local Cuban restaurant not far from Time Square. The mojitos (a traditional Cuban cocktail made with fresh muddled mint and rum) were refreshingly authentic, the food was delicious, and the live band simply MADE the entire experience for us. We ordered several rounds of appetizers, and found the grilled corn to be our stand-out favorite; this recipe is as close to their creation as I could get! Get your Sweet Corn from Jirak Family Produce at the Market, Wednesday afternoons and Saturday mornings! In a small bowl, combine sour cream and mayonnaise; set aside. 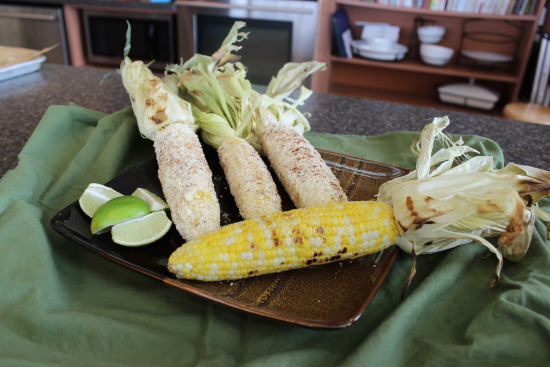 Grill ears of corn over medium heat on an oiled grill or grill pan until kernels begin to char and blacken, approx. 8-10 minutes. Or, cook corn in an electric pressure cooker! Add 1 cup water combined with 1/4 cup sugar to bottom of pressure cooker pot; add 6-8 ears of cleaned corn and lock pressure cooker lid into place. Choose HIGH setting for 3 minutes. When timer goes off, use a quick release to remove all pressure from pressure cooker. Liberally brush prepared mayo mixture onto hot ears of corn. Meanwhile, place Parmesan, salt, chili powder, red pepper flakes, and lime zest into a shallow dish; toss to combine. Roll slathered ears of corn in Parmesan mixture until well-coated. Serve at once. 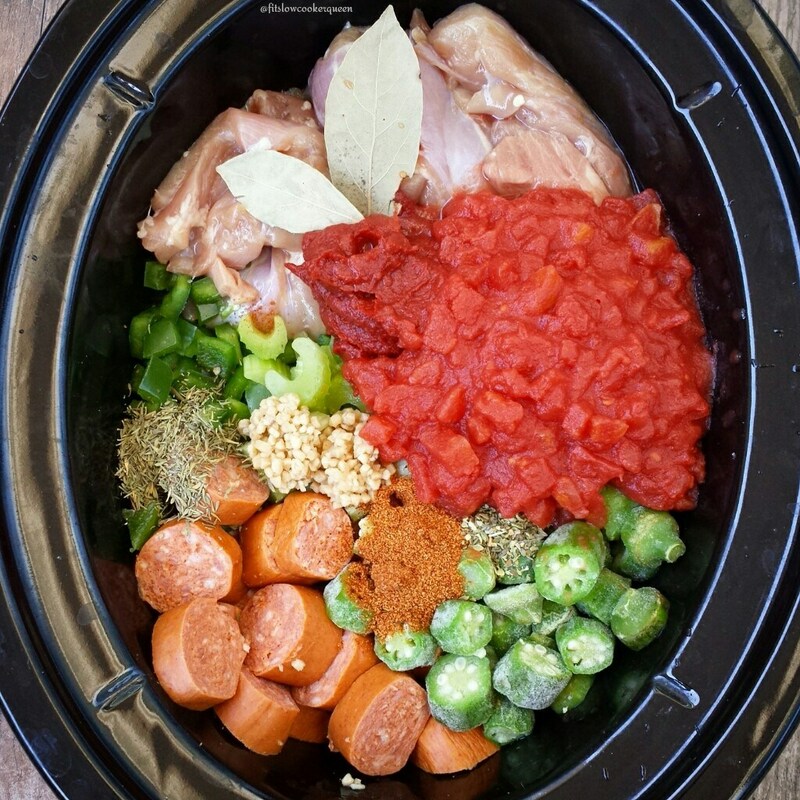 If you’re dishing it up for weeknight dinner, use the ingredients you have on hand. 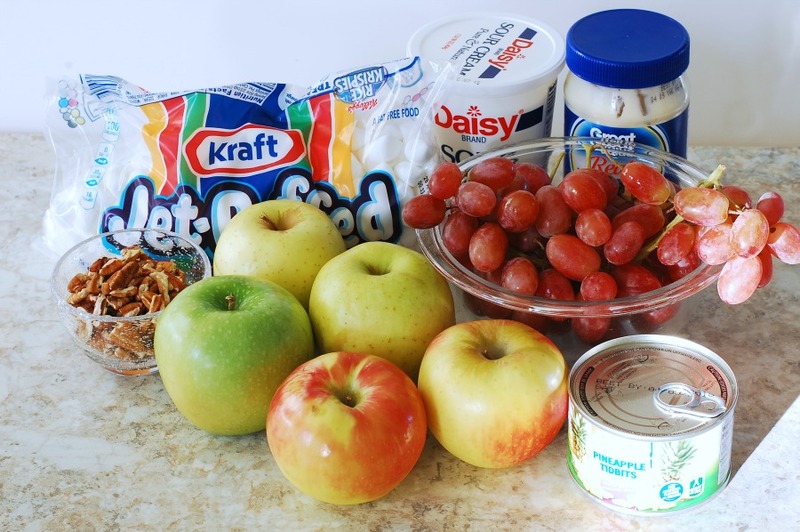 Feel free to skip the pineapple, pecans or grapes. Get your apples from St. Andre Orchard at the Market tomorrow (Wednesday) from 2:30 – 5:30 PM! 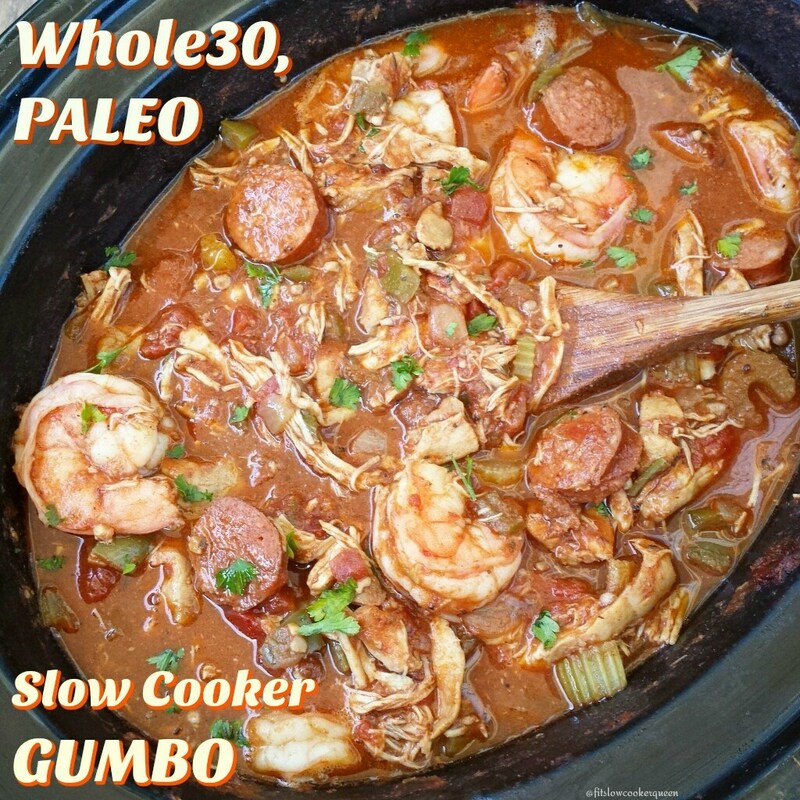 Packed with Creole and Cajun flavors, this easy gumbo recipe is sure to please. Not just easy this is healthy too being both whole30 and paleo compliant. Add all the gumbo ingredients EXCEPT the shrimp to the slow cooker. Stir to mix well. Cook HIGH 3-4 or LOW 6–7. In the last 15-20 minutes of minutes cook time, add gently stir in the shrimp. Keep warm until ready to serve. Remove bay leave prior to serving. Stewed Okra and Tomatoes is a healthy and delicious side. 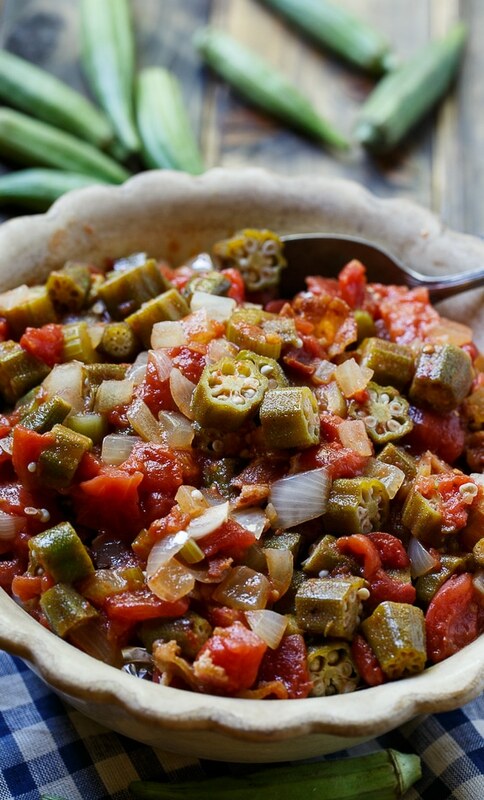 Fresh summer okra, sliced and cooked with canned tomatoes (you could use fresh instead), bacon, onion, celery, and a few seasonings makes a delicious vegetable side dish for almost any meal. Cook bacon in a cast iron Dutch oven. Add onion and celery to the bacon grease and cook until soft, about 7-8 minutes. Add tomatoes, water, okra, and seasonings. Cook 20-25 minutes, maintaining a simmer and stirring occasionally. Crumble bacon and stir in just before serving.